Wolf Figurines, Wolf T Shirts and Gifts. We Have A Wolf Web Cam. Enjoy! 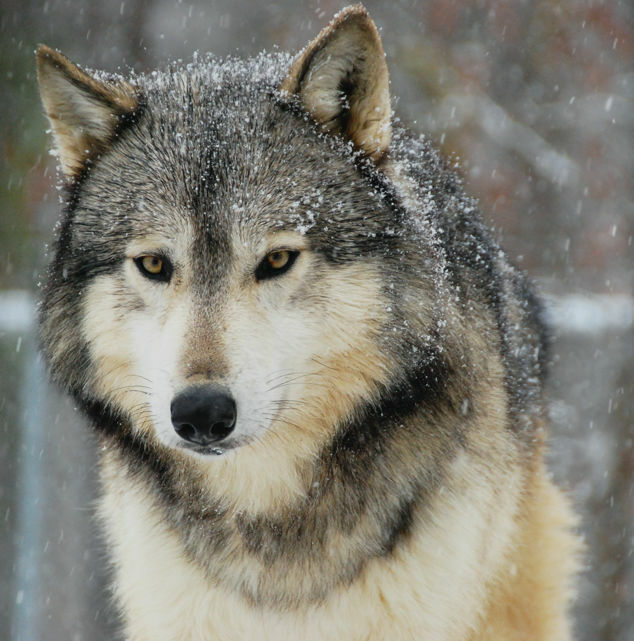 We support our Wolves through Sales of our Wolf gift items! Wolf Figurines - You will find figurines, like the Indian Turquoise Wolf Figurine, from the Spirit of the Wolf Collection. These figurines are in the shape of a howling Wolf. Each one has a theme that is molded on all sides of the Wolf. They are hand painted and you can feel the design. These are great to buy for collectors as you can always find a Wolf gift you know they will love in them. We also have Wolf Figurines from the limited edition World of Wonders Collection. There are some very large pieces like our Moonlight Serenade Wolf Figurine and The Wolf Figurine which stands 21” tall. A very unique figurine that we just added in 2018 is the Howling Steampunk Wolf. Its uniqueness has quickly made it a best seller. Our Wolf and Fairy Figurines are truly outstanding. The most breathtaking piece from this collection, in our opinion, is the Snow Fairy with Arctic Wolves Figurine. If you like more traditional figurines, be sure to check out The Solo Howl Wolf Figurine and the Loving Wolves Figurine. Wolf T Shirts, designed and printed right here at the Preserve. 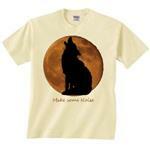 You will find Adult short sleeve Wolf T Shirts in the Wolf T Shirt category of our Gift Shop. Check out our darling Children's Wolf T Shirts. We've also have Wolf Long Sleeve T Shirts, Wolf jackets, hoodies and sweatshirts, too. Wolf Gifts include a Wolf water globe, cute Wolf plushes, big and small, Wolf wallets, ornaments with our Wolves on them, cedar boxes, temporarily tattoos, toys, Wolf hats and masks, Magnetic bookmarks, Wolf luggage tags, decals, puzzles, toys, picture frames, a Wolf Stapler, arts, crafts and many more unique Wolf Gifts. Exclusive Wolf Collectibles include hard to find Wolf Figurines, canvases and Wolf jewelry items. 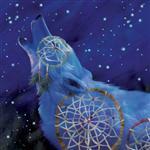 Wolf Home Décor has a wonderful Wolf wall mural, pillows, metal art, assorted lamps, spinners and even a Wolf doormat. We have beautiful sun catchers, S&P Shakers, a Wolf solar lantern and wall plaques. Visit our Wolf Gift Shop main page for a more extensive gift menu. Meet Our Wolves - Three Wolf pups came to Wolf Howl Animal Preserve in September of 2005. Meet Our Wolf Pups - Wa-ta-chee and Ohoyo, our Alpha Male and Female blessed us with four wonderful Wolf Pups in the spring of 2007. Wolf Webcam - see our Wolves on the webcam. In the summer, feeding time is done in front of the Wolf webcam between the hours of 6:00-7:00 pm central time. 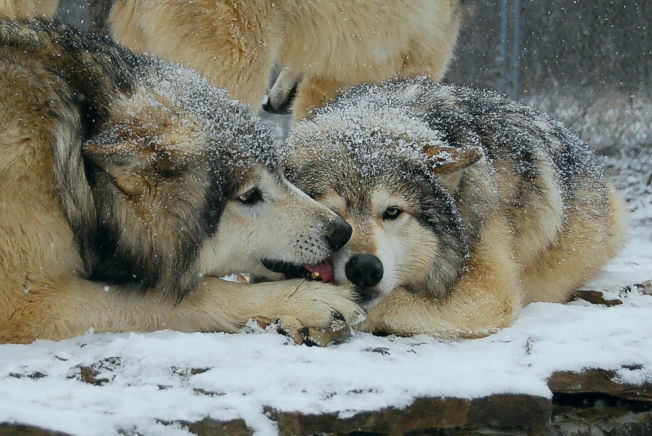 In the winter, feeding takes place in front of the Wolf webcam between the hours of 4:00-5:00pm central time. The best time to view the Wolves and when they are the most active is the evening hours. 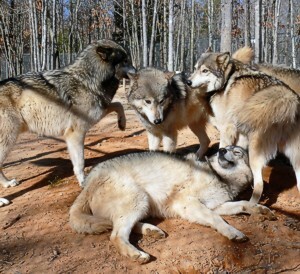 Enjoy our Wolf pictures and Wolf information in Wolf Pictures. Make sure you see the Pictures of Wolf Howl Animal Preserves Wolves. You can also find Wolf Pictures and Wolf Art in Wolf Home Decor and Wolf Posters and Prints. Read "Wolf Talk", our views on why Wolves Howl. Listen to wolf sounds and download a wolf sound or two to your disk. Listen to the wolf sound files and let us know which is your favorite. Here you will find some beautiful sound samples of our Wolves during breeding season. Our site contains a Wolf Fact section. Children will find our Wolf Fact page helpful for school projects. Wolf Top Pics contains Wolf Howl Animal Preserve's favorite links, books, movies, places to visit and documentaries about wolves. Send a free Wolf E Card, it's FREE! Our Wolf Ecard selection will be changed from time to time, so send ecards often. preserve Nature's Greatest Predator, next to Man, "The Wolf".